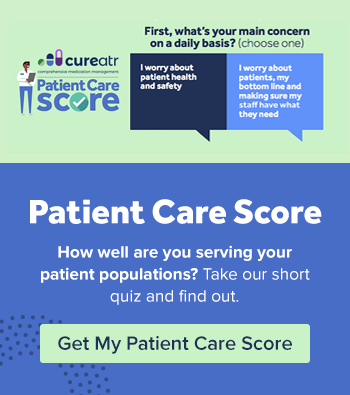 NEW YORK--(BUSINESS WIRE)--Oct 15, 2018--Cureatr Inc., the country’s leading mobile real-time healthcare information provider, today announced it has been certified as a trusted partner of Surescripts®, the nation’s leading health information network. Cureatr has been awarded certifications for Surescripts Medication History for Reconciliation and Panel Management Services. 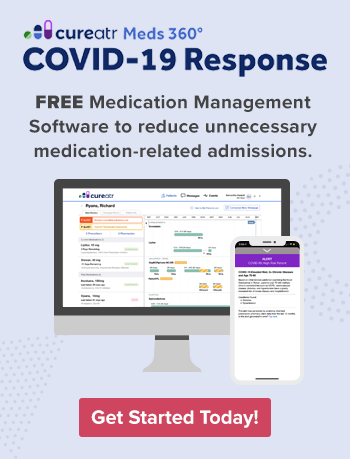 Cureatr leverages Surescripts’ robust medication history products in their real-time mobile medication information tool, Meds 360°. This one-of-a-kind solution gives healthcare providers real-time 12-month longitudinal views of patients’ medication histories, with up-to-date lists of medications, not just from the EMR but everywhere, covering over 233 million patients, all major pharmacy networks, and a growing number of independent pharmacies, inclusive of cash-pays. The Surescripts certifications add to Cureatr’s growing list of healthcare information that exists beyond the four walls of the healthcare provider’s organization such as real-time admission, discharge, and transfer (ADT) feeds and secure clinical communication. Cureatr is the country’s leading mobile real-time healthcare information provider, connecting patient data that exists outside of the electronic medical record to create a picture of a whole patient, giving clinicians vital depth and context into who they are, what illnesses they’ve faced, what medications they’ve taken, where they’ve been within healthcare facilities and where they’re going, as they’re going there, in real-time, so clinicians can take real action to deliver better care. For additional information, please visit.